Santa’s Reindeer have never been so adorable. 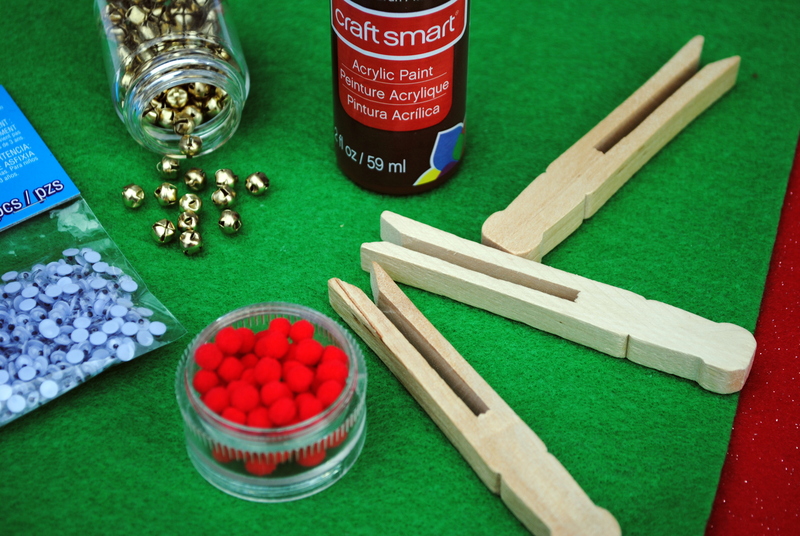 With a few craft supplies you can make Rudolph, Donner, Vixen and the rest of the gang in no time. 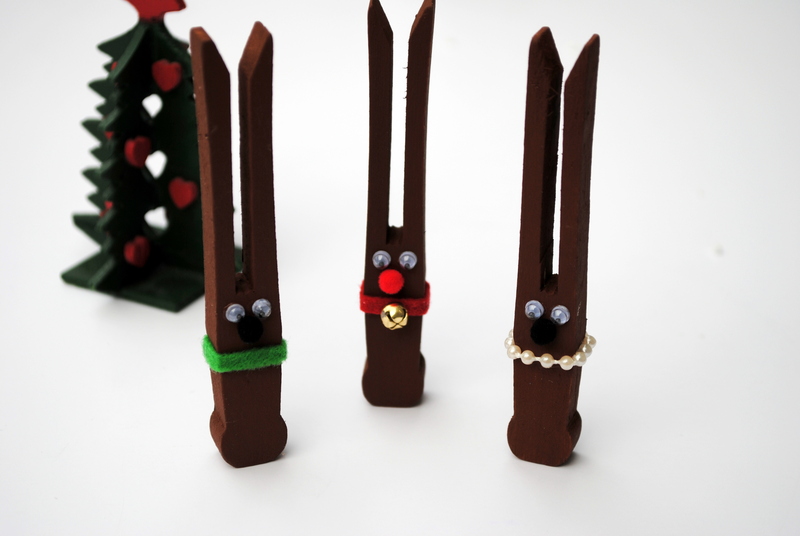 I had leftover clothespins from my Easter Clothespin Bunnies and decided to create Rudolph for this year’s Christmas tree. 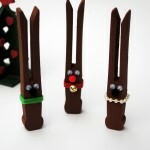 I updated the standard clothespin reindeer, making it miniature and modern. Once I started, I couldn’t stop; I had to make more of Santa’s sleigh pullers. Using brown paint and foam brush, paint the clothespins. It’s best to paint a thin coat and let it dry thoroughly before adding the second coat. Glue wiggly eyes and nose in place on the clothespin with craft glue. Cut thin strips from felt for the collars – about an inch long is all you need. For Rudolph, glue or sew a jingle bell on the center of the felt strip before gluing his collar. Trim any excess from the collar before gluing. 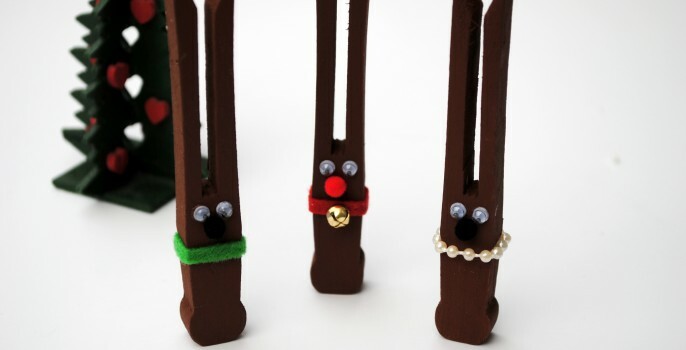 Personalize your reindeer with embellishments if you choose. No need to add a hanger to make this an ornament for a tree, the clothespins will slide onto branches and hang perfectly. Happy Holidays! 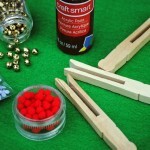 I enjoy all small crafts as I teach young children, this is an ideal project. These are so very cute!! Even I could make them!